Is your home starting to feel a little overcrowded? Would you like more space without the hassle and expense of moving? 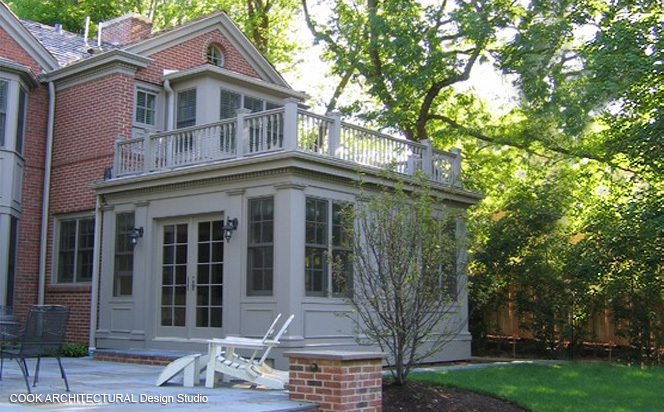 Contact Paragon Design & Construction to discuss an addition to your home. Add an extra bedroom to accommodate your growing family. Turn your confined den into a spacious family room--perfect for entertaining! Create a cozy in-law apartment or au pair suite. There are countless possibilities. Your project can be as simple as an extended master bedroom or as elaborate as a second floor addition. Whatever your needs, the experts at Paragon Design & Construction are prepared to work with you to design and build an addition that matches your home, both stylistically and architecturally.